Using Xerox® Genuine toner and ink in your Xerox® printer ensures that prints are delivered with consistent quality. Testing conducted by independent printer evaluation laboratories proved Xerox® Genuine Supplies are more reliable and deliver up to 27% higher page yields than aftermarket alternatives. Purchasing inexpensive aftermarket toner and ink for minimal short-term savings can ultimately be more expensive, due to frequent replacement of defective and leaky toner cartridges and lost productivity as a result of device downtime from failures of fusers and imaging units. In comparative cartridge tests on several different printer cartridges, the Buyers Lab Institute (BLI) found that Xerox® cartridges delivered superior overall page yields, image quality and reliable performance compared to the remanufactured brand. Why is genuine Xerox® toner so much better? Xerox®toner cartridges are engineered in an integrated design with Xerox® printers. Genuine Xerox® toners are safe and non-toxic. When you choose Xerox® toners, you’re choosing an advanced Xerox® Supplies technology, formulated specifically for each product to provide the best image quality and reliable operation..
Non-genuine toners for Xerox® products are not spherical particles but crushed particles. These are more abrasive and cause early wear on drums, belts and fusers. Premature replacement of a drum and fuser will more than offset toner purchase-price savings and significantly increase total cost per page. Get rewarded for buying the supplies you already use with Genuine Xerox® Rewards. Now printing with Xerox is more rewarding than ever. 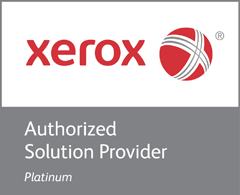 Earn reward points every time you buy genuine Xerox® supplies or register Xerox® equipment. Redeem your reward points online for valuable merchandise. Xerox® replacement cartridges are available for your HP and Brother laser printers, delivering high image quality at a lower cost.